The group of Davao del Norte 1st District Rep. Pantaleon Alvarez was reportedly denied use of the gymnasium in Sto. Tomas town during their medical mission on August 10. In a video posted on Facebook by Nono Sumatra, Alvarez’s group claimed that they were not allowed to use the gymnasium of Sto. Tomas thus they have to do their medical mission in a church in the said town. Sto. Tomas Mayor Daniel Batosalem Jr. admitted on Sunday that Rep. Alvarez requested to use the gymnasium but said that the gym was already fully-booked for two weeks when the 1st district congressman made the request. 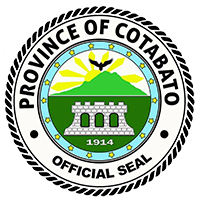 Mayor Batosalem said that they have a lot of activities due to their upcoming founding anniversary on August 14. Sto. Tomas belongs to the 2nd District of Davao del Norte and is not under the legislative district of Rep. Alvarez.